1. When the cutting piece is no longer sharp and the cutting surface is rough, it must be repaired in time. Grinding does not change the original angle and destroys the dynamic balance. 2. 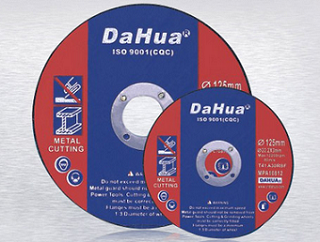 If the inox cutting disc is not used immediately, it should be laid flat or suspended by the inner hole. The other pieces or feet should not be stacked on the flat saw blade, and attention should be paid to moisture and rust. 3. The inner diameter correction of the inox cutting disc and the processing of the positioning hole must be carried out by the factory. If the processing is poor, it will affect the product use effect, and may be dangerous. The hole expansion principle should not exceed the original hole diameter of 20mm in order to avoid affecting the stress balance. In short, only keep in mind the maintenance measures of the above inox cutting disc, in order to make it better extend its service life.